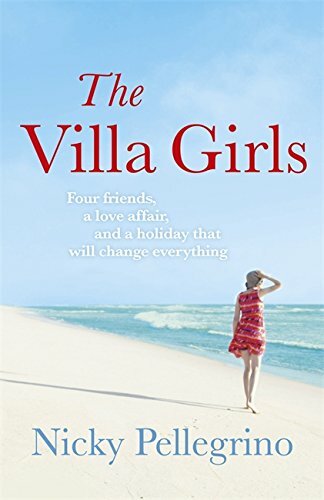 THE VILLA GIRLS is the story of four young women who decide that wherever they are in the world and whatever they're doing they'll meet every few years for a holiday together somewhere sunny. Despite life taking them in very different directions, their snatched days in the sun in little hidden villas are crucial to them all. Escape, celebration, recovery - over the years the holidays change their lives. Rosie was always the odd one out - initially only invited as the others felt sorry for her, but it seems that in the end, she might be the one whose life is touched the most by her villa days. For it's there that she meets Enzo. The eldest son of an olive oil dynasty in southern Italy, he is being groomed to take over one day as head of the family. Review: This is the first book I have read by this author, although she has penned quite a few. I say 'read', but I actually listened to it as an audio book. I very much enjoyed the story, and it has encouraged me to take a look at some of Nicky Pellegrino's other stories. The Villa Girls of the title are four friends from school days who decide on this name for the group after they take a holiday in a Spanish villa soon after leaving school and decide to repeat the experience on a regular basis. The main characters are two members of the group, and an Italian boy that they meet on a subsequent villa holiday. These two girls, Rosie, who has been orphaned following the death of her parents in a car crash, and Addolorata, the daughter of a family who run a local Italian restaurant, become friends when Addolorata takes pity on Rosie, who has become ostracised by former friends. Rosie is 'adopted' by the whole of Addolorata's family and begins a love affair with Italian cooking. The Italian boy, Enzo, is a member of a family which has grown olives and produced olive oil for generations. He is being trained in the art so that he can eventually take over the family business from his father and grandfather. I found all of the main characters in this book strong and likeable. They drew me in quickly to their very different backgrounds, all of which were well described by the author. I liked the way in which the story was told from each of their different points of view. For a large part of the book, Enzo's story seemed separate from the girls' story, and it was unclear where their paths were going to cross, but then they were all brought together nicely. My only disappointment was that the ending seemed a little rushed. Suddenly, what looked like being an unsatisfactory ending (for me) was sorted out. I would have liked an extra chapter or two there to explain what went on. Altogether, I thought that this was a pleasant read. Probably not one to embark on if you are feeling hungry. There is lots of food described in its pages, all of which sounds delicious if you like Mediterranean cooking - so beware! Help! 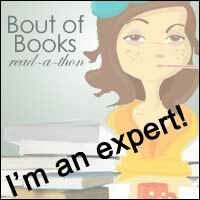 I'm reading too many books at once!